poststructuralist perspectives, particularly those of Judith Butler, Gilles Deleuze, Michel Foucault and Jacques Lacan. Further unique features include a detailed critique of hegemonic masculinity; an elaboration of masculinity as discourse; and an introduction to the concept of the masculine subject. In the course of its development over recent decades, the sociology of masculinity has expanded to cover most aspects of social and cultural enquiry. In response to this, Men and Masculinities broaches a diverse range of issues, including masculinity and materiality, masculinity in crisis, sexuality, male power, identity, the politics of masculinity, and the male role in management, relationships and families. 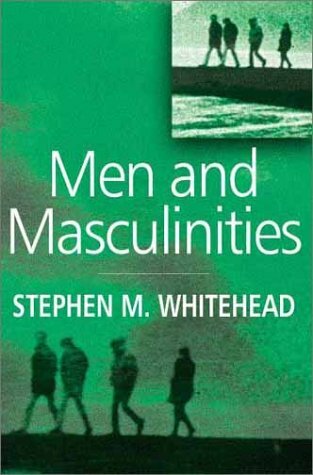 It details key writings on masculinity while also signalling emerging areas of research into men at the beginning of the new millennium, such as age, leisure and gay male friendships. It will be an invaluable resource across a number of disciplines, including sociology, gender studies, cultural studies, psychology and anthropology. Masculinity - Illusion or Reality? A Crisis of Masculinity or a Moral Panic?